Roommates that are absolutely wonderful are hard to come by. I am grateful enough to have found a roommate that is quite literally my other half. My roommate is not someone I had known before we moved in. In fact, we barely knew each other before we moved in. I met him once and decided that he was going to be my roommate. It was the best decision I have ever made because my roommate has become one of my best friends and one of the better stories to my university experience. 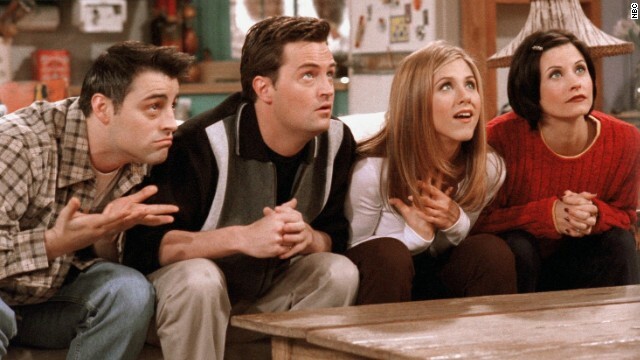 Here are seven signs that you also have a roommate that is amazing. Sometimes life gets tough. Exam season is coming, the boy you’re into won’t text you back and you have three dollars in your bank account. Thankfully, your roommate is stuck with you and has no choice but to listen to you complain. Whether it is the leftover poutine from a night out or warm nachos, they will always offer you food. If you are as lucky as me, sometimes they will even go out of their way and make you food. Just like your grandma, they will make sure you are fully fed and happy knowing you would do the same for them in a heartbeat. A roommate will look past the fact that you haven’t washed your hair in about a week and won’t judge you for never wearing pants around the house. They won’t even judge the fact that you definitely do not have your life together. Instead, they’ll provide love, unconditional support and maybe kindly gift you some shampoo and conditioner. I may not have had the luxury of sharing cute dresses because my roommate was a male, but I still managed to get a pair of Minion pajama pants and a pretty sick Levi’s shirt. Your roommate will become a savior when it comes to clothes especially when we’re all too broke to buy anything new. With such busy class and work schedules, it is sometimes impossible to see your roommate. It is perfectly fine to miss them because you hate being apart even if it is only for about half an hour. When you both are not together, you end up texting, Snapchatting and tagging each other in memes to remind them that you’re thinking about them. Cleaning is usually the most common argument between roommates, however, your roommate likes the home just as clean as you do. They leave rooms semi presentable, they take out the trash, and they clean up after themselves. Bonus points if you don’t even need to ask them! This is all clear signs that you are truly blessed with a good roommate. Your roommate may irritate you sometimes, but realistically, there is no one else who would deal with your nonsense. They’re the person you will share everything with while transitioning in and out of university and there is no one else you would rather share the experience with. What do you love about your roommate? Have you become best friends with your roommate at St Cathy’s Montreal Student Residence? Let us know in the comment section below!